A great way to blow away the cobwebs and blinding headache at the end of the day. Daisy appreciated going out again too. what a view! and yes fresh air helps to blow cobwebs away. Fantastic image, Cally! Fav from me. So sweet!! Love this, Cally! There is a great source of adventure in this one, and I like it a lot! Nice with the grass blowing the same ways as the dogs ears, hairs! You are up high here - that would be a good walk in the wind and fresh air! Gorgeous - love the lighting - and Daisy, too. Beautiful, great composition & timing! Wonderful view and tranquil atmosphere! Beautiful comp and light, a great feeling of freshness and freedom, fav for me. I hope you don't get blinding headaches too often. 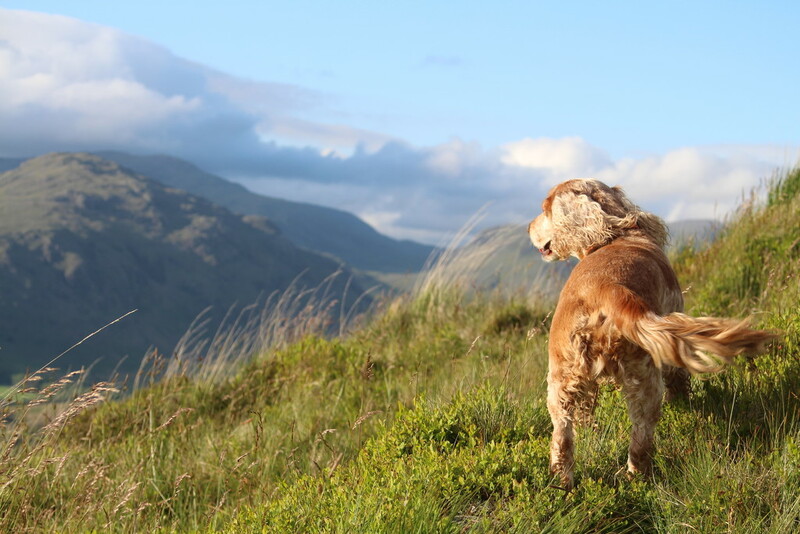 Wonderful view and love how you captured Daisy looking out over the landscape. Really lovely. Great sense of movement. I want to be Daisy! How great is that view... and the freshness of the air that blows her ears back. Lovely shot. How beautiful, where is this capture taken! @katrinastabback This is in the Lake District, North of England. I had to scroll through your photos to see where you lived to decide how much info to give as you may have been in the UK. Lovely photos by the way.